Being immersed in Atlanta’s downtown history is one of the biggest perks that Georgia State University’s location offers students and faculty. One of the newest projects I have been working on takes advantage of this unique opportunity. 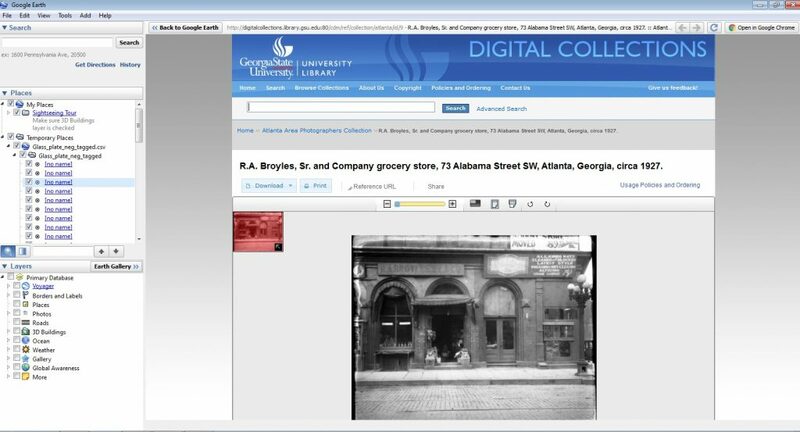 The project uses Georgia State University’s digital library collection of a series of glass plate negative images that were taken of the storefronts before the viaduct was built over them. Some of these storefronts can still be seen in Underground Atlanta. 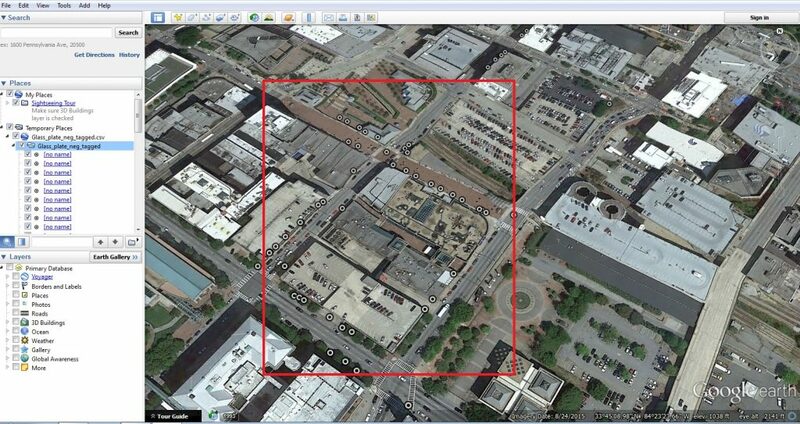 The area documented was mostly of Alabama St SW,Pryor St SE, Peachtree St SW, and MLK Dr NW. 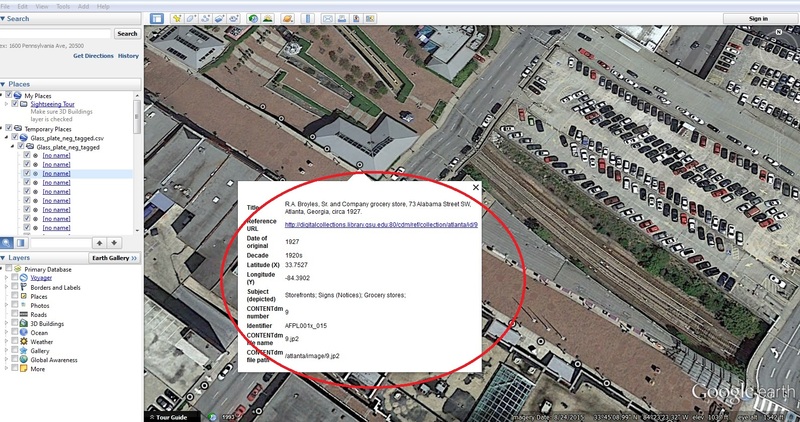 Although many of the images contained an address there were challenges because address were not relevant to the addresses today and although the image might have been labeled with an address, in the pictures the storefronts had a separate number address. In order to properly Identify the correct geographic locations of where these images were taken, we would need a map of the area from the time period. With the help of the sanborn maps this would be possible. Each Point contained the appropriate information to be able to lead to the image and therefore would make stitching these images much easier. Sitching such images together to create one long panorama of what the entire street looked like has been a challenge. After experimenting with photo stiching software, we came to find that Adobe photoshop would be the best route to manipulate the images the way need to stitch them. The project has hit bumps but overall the progress has been greater than expected. 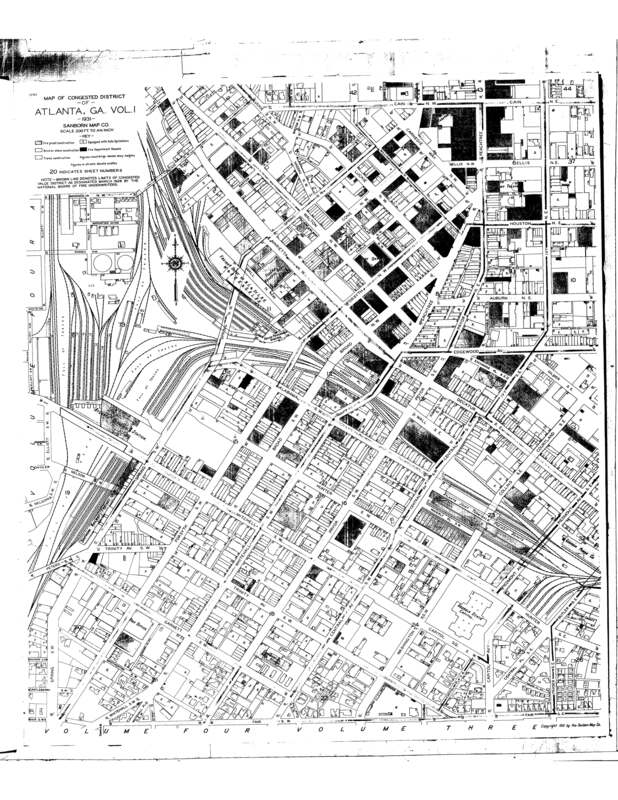 As we continue to photo stitch our images, the hope is to create a complete panorama of what Atlanta used to look like before the viaduct was built. I plan to upload the completed product.